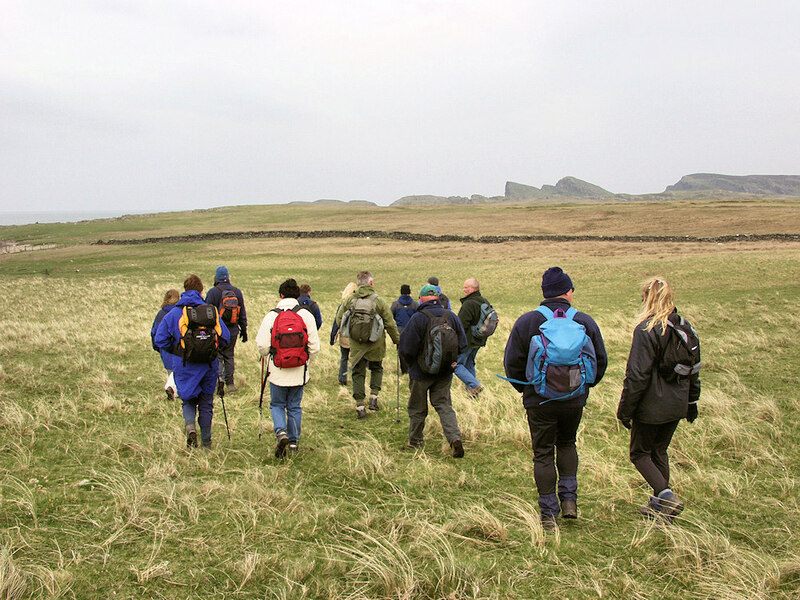 A picture from the very first WalkIslay Islay walking week in 2003. This walk took us from Saligo past the Opera House Rocks and out to Gleann Tuath before returning to Saligo. This entry was posted in Cloudy Weather, Landscape, Repost and tagged Islay, Opera House Rocks / Sleeping Giant, Saligo by Armin Grewe. Bookmark the permalink.